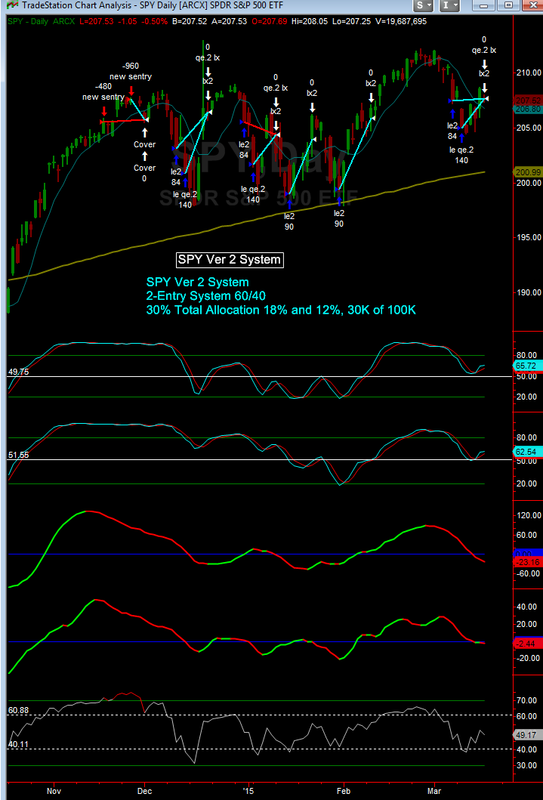 As a visual confirmation, the SPY Pro and Ver 2 systems closed out their trades on the market open and went to cash. All three systems closed out profitable trades albeit the profit was tiny for the SPY Pro, however the other two with their second entries made nice profits. Also just to be clear for those of you who might be new or new to the systems - The action of the SPY systems exiting their long positions and going to cash should NOT be construed as a sell or short signal for the market! 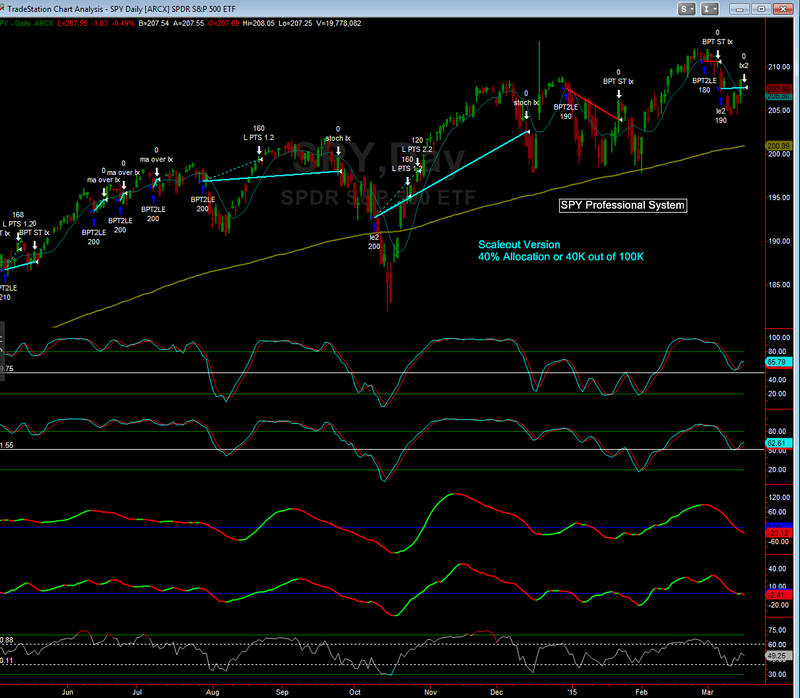 Do not short the market based on the SPY systems going to cash. Remember the goal of the SPY systems is to simply identify a trade situation, get in and get out, that's it. These are not trend following systems, they are reversion to mean systems that attempt to buy pullbacks in uptrends or short rallies in downtrends - get in and get out. 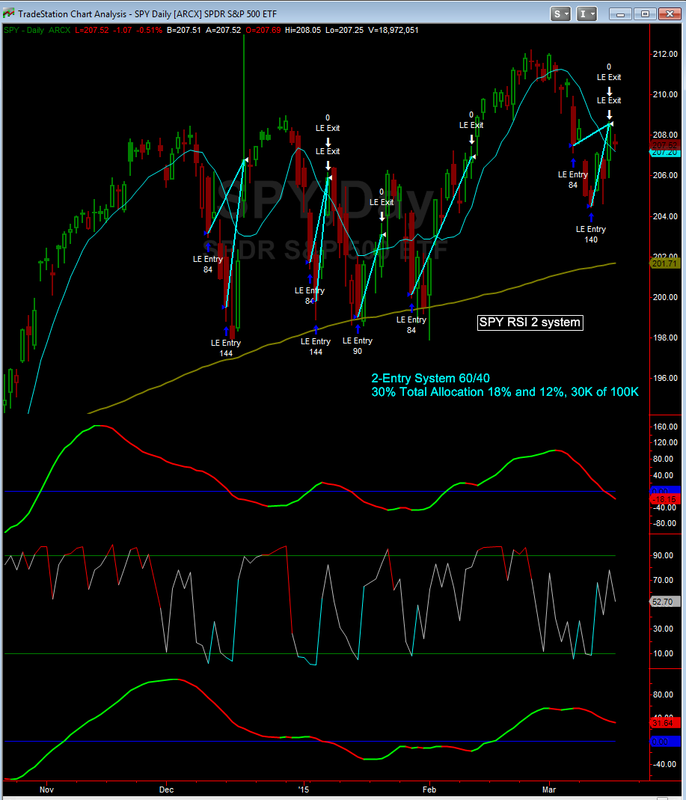 The system has very specific short signals, which are not in effect at this time.